WORK begins this week on repairs to traffic light systems at a busy junction in Polegate. 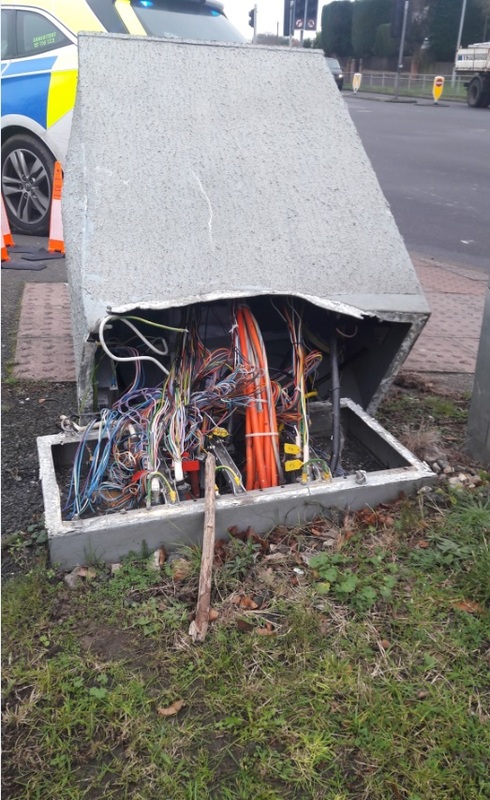 The traffic light controller, which controls the phasing of the lights, was seriously damaged after it was hit by a vehicle on Tuesday, January 15. Today, (Monday Feb 4), contractors for East Sussex Highways will begin work to remove the old traffic lights and install new ducting and cabling. At the beginning of next week, engineers will install new traffic lights and the new controller, with the new system expected to be up and running by Sunday, February 17. During the work, the road will remain open at all times with the junction controlled manually by temporary traffic lights. An East Sussex Highways spokesman said: “The work our contractors are carrying out will involve some continuing disruption, but the work is necessary due to the serious damage caused in the crash. “The fact the temporary lights are controlled manually means crews can alter the phasing to take into account the prevailing traffic flow, which will help us to keep disruption to a minimum. This entry was posted in Roads, Transport and Environment on February 4, 2019 by karenb.